Maintaining food security remains a significant challenge for governments globally. With less food and more people, demand is outstripping supply. One solution to this problem could be the creation of fake foods or ingredient substitutes. 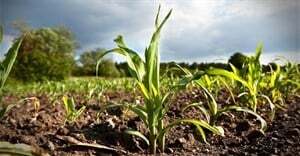 Governments can now look to laboratories to help navigate the challenges such as climate change, decreasing seeding, soil erosion and reduction in labour forces in rural areas. As we know, the majority of the foods consumed today across the world are not 100% real, for decades food ingredients have been substituted for chemicals to meet demand. For instance, when you get a strawberry milkshake, you would expect there to be strawberries and milk in the milkshake, right? Wrong, in most fast food chains the strawberries would have been substituted by ingredients made up of chemicals. Described by draxe.com, “Fake food is basically something pretending to be something it’s not.” With no known short-term side effects, these foods are sold, regulated and distributed throughout most of the global food outlets and networks. What happens if this process falls into the hands of criminals? In the context of Africa, it is significantly more serious. Fake food in this context goes beyond substituting your favourite milkshake ingredients, it reaches into organised crime and fake food moves from well-regulated laboratories, into the hands of criminals. Fake foods pedalled by organised criminal gangs are sold on a regular basis throughout Africa. It is believed drug gangs have moved to counterfeiting food as the penalties are far lower than those for narcotic-related crimes. Africa is becoming the dumping ground for fake foods and according to foodsafetynews.com, there have been instances when frozen expired meats, marked as fresh meat, were sold for consumption. In South Africa alone, an enormous recall of supermarket products was issued in 2015 after they were found to be coloured with banned dyes. As consumers, we shop through well-stocked shelves and remain food secure. It takes little effort to find our favourite meal. If we had to authenticate each product we purchased over the last month, it would be likely that some products contained ingredients not listed on the packaging and would be considered fake. There is specific regulation on food substitution and at all times consumer needs to be made aware of alternative ingredients. The argument lies in the fact that if consumers are aware of the replacement process, it would make the substitution authentic. As consumers, we know we are not drinking a real milkshake, we’ve been informed through marketing and advertising. What happens when food products are faked without our knowledge? Sold a salmon but eating hake? Fruit displayed as “Made in Ceres” when in reality the fruit is farmed elsewhere and possibly not to the required standards. Recently, eggs were sold as free range but later found to be farmed from steroid filled battery chickens. Organised crime syndicates have developed smart counterfeiting techniques to ensure consumers remain unaware. From exact packaging replication to infiltrating distribution channels, deaths from food counterfeiting in Africa have spiralled. Backyard sellers to high-end retail giants have been a victim of food counterfeiting. The question remains; who is to blame? Kyle Parker, MD of Pagemark Africa, an African authentication based company, stresses that food counterfeiting involves all role-players as syndicates may infiltrate the production process anywhere from conception to delivery. Currently, there is very little legislation or penalties governing criminal activities around food counterfeiting. As the demand for production increases, criminal organisations will use this opportunity to flood the food market with counterfeited products. The key lies in authenticating the process from beginning to end. At any given point, information on that product would need to be readily available, information such as tampering and theft. Consumers need to be made aware that organised crime syndicates are active in the fake food industry. These syndicates use harmful, illegal and chemicals ingredients that could cause disabilities and or death.